Graduate – Aga Khan University, Karachi, Pakistan – Degree: M.D. Has received numerous awards, among them: Young Leadership Award from American Dermatological Association, several mentorship awards from the Medical Dermatology Society, and the Outstanding Service Award and Diversity Mentorship Award from the American Academy of Dermatology. 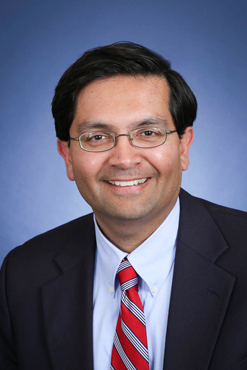 Dr. Qureshi is a member of numerous professional organizations, including the New England Dermatological Society, the Society for Investigative Dermatology, the Society for Epidemiology Research, the American Dermato-Epidemiology Network, the American Association for Cancer Research and the North American Rheumatic Dermatologists. Dr. Qureshi’s multidisciplinary clinic is dedicated to the care of adults and pediatric patients with combined skin and rheumatologic disorders including psoriasis, psoriatic arthritis, cutaneous and systemic lupus, pyoderma gangrenosum, Hidradenitis suppurativa, systemic sclerosis and localized scleroderma, dermatomyositis, vasculitis and vasculopathic disorders, and sarcoidosis. His research interests include teledermatology, skin cancer, vector-borne illnesses, and psoriasis.